A chic and trendy catering menu. The dark blue color background with white typeface truly depict a vibrant setting. The menu is eclectic as well with exclusive items for office goers and executives. On a digital signage screen the visual appeal will be irresistible to the target audience. 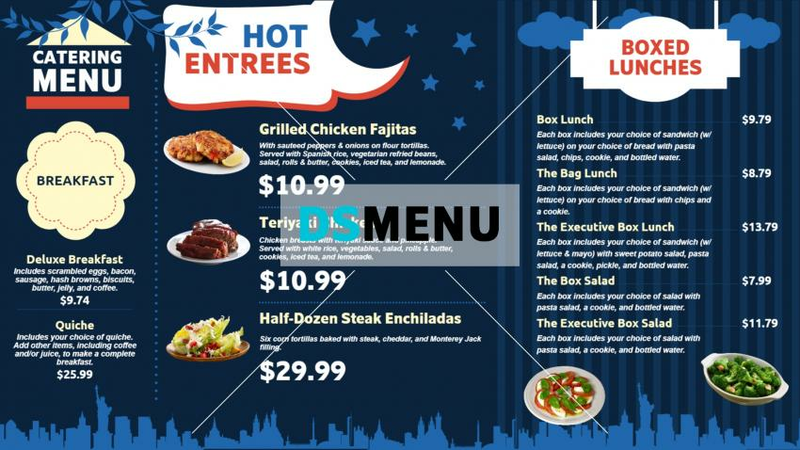 This menu board provides model for your actual menu board and is ready for use.